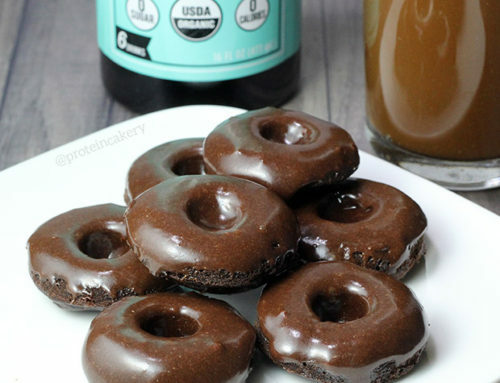 The whey/casein blend in Quest Protein Powder is great for baking, so I knew it would be easy to get a nice vanilla protein donut base. For the caramel layer, I melted half a Coconut Cashew Quest Bar and mixed it with a soaked medjool date. 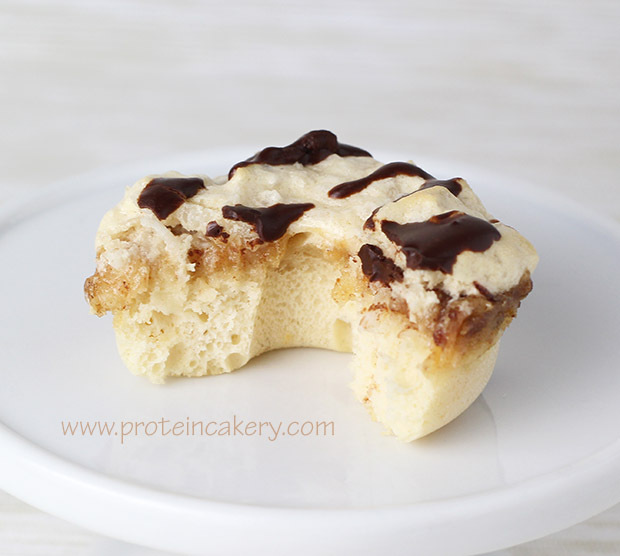 The date flavor and Quest bar consistency make it caramel-like, and we get a boost of coconut flavor, too! Instead of just sprinkling coconut on top, I upped the protein content by using egg whites and more Quest Protein Powder. Of course, there’s a chocolate drizzle, too! The result is delicious! A combination of flavors and textures to get your taste buds jumping! And check out the macros. This recipe is a total win! 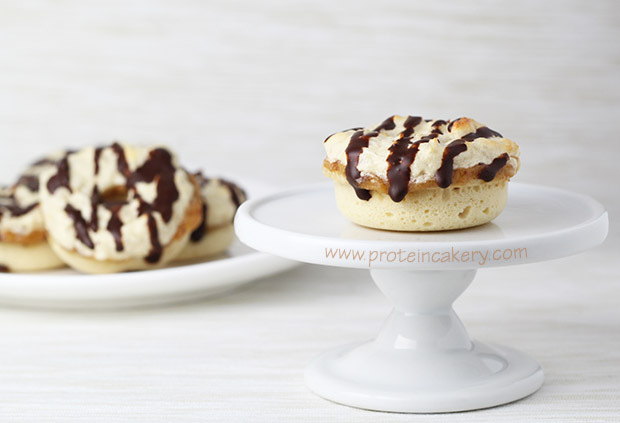 If you love the flavors of Samoas, give these Samoa Protein Donuts a try! 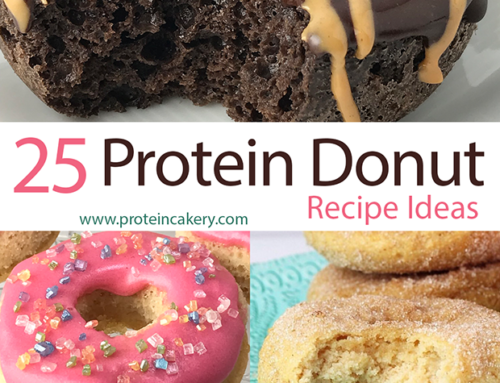 Start to make the donut base by mixing together the protein and baking powders. Add vanilla, egg whites, and coconut oil. Mix well. Pour batter into a ziplock bag, seal the bag, and cut a corner off. 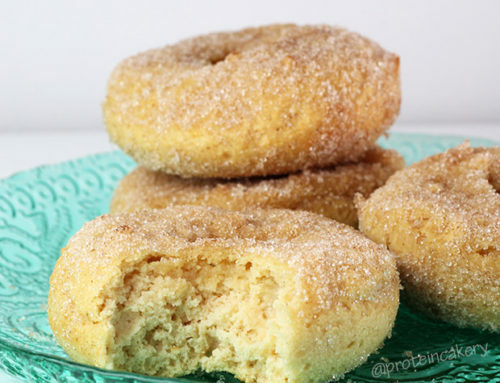 Pipe batter into a silicone mini donut pan. (This will be cleaner than trying to spoon the batter into the pan.) Set pan aside. Heat the caramel layer ingredients over a low flame. Continue to stir until the Quest bar has melted, and the date has broken up. Turn off flame, and set aside. Begin the coconut topping by beating the egg white until stiff. Gently whisk in the vanilla, protein powder, and sweetener. Spoon this mixture into another ziplock, cut off the corner, and set aside. Gently spoon the caramel layer over the donut batter. Pipe the coconut topping over the caramel layer. Bake for 10 minutes, and check to see if the donut base is cooked (stick a toothpick in the base layer from the side) and the coconut topping begins to brown. If not ready, check every 1-2 minutes. 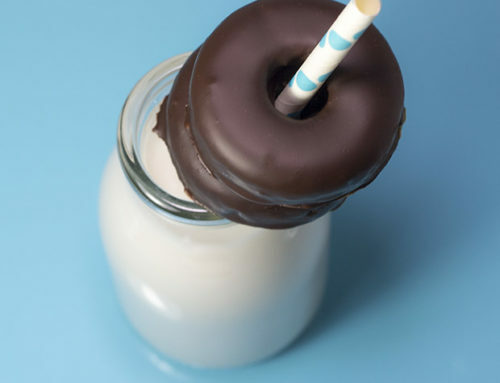 Mix chocolate ingredients, and drizzle over cooled donuts. If you're staying away from artificial sweeteners, opt for the Quest multi-purpose powder rather than the vanilla. 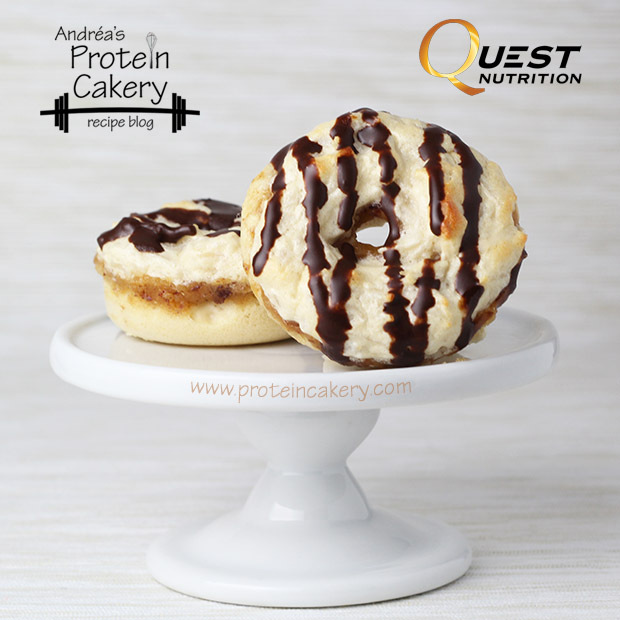 A note about substitutions: The Quest powder is a whey/casein blend, and casein bakes very differently than whey. 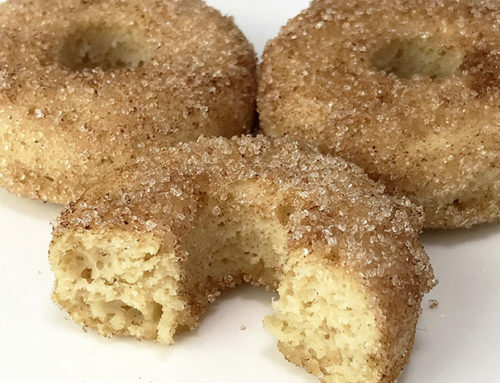 If you want to replace this in the donut base with all whey, you'll need to add about 2 tablespoons coconut flour or 3-4 tablespoons oat flour. 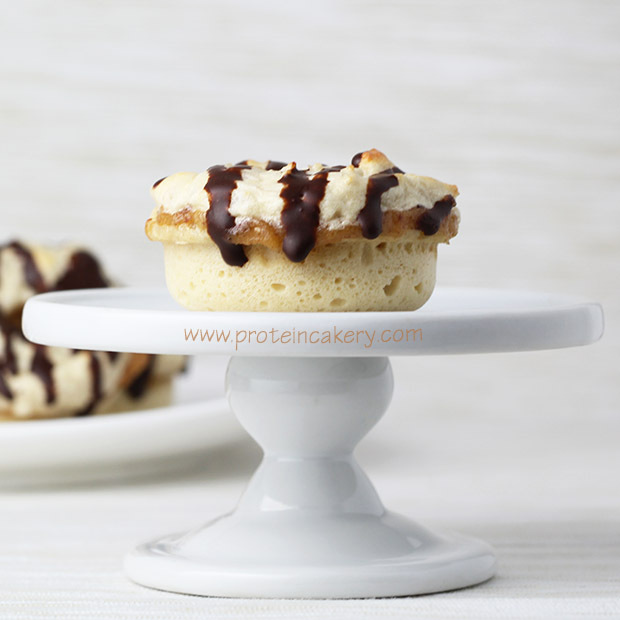 In the coconut topping you'd need to add 1 teaspoon coconut flour or 2 teaspoons oat flour.